Jointly organised by leading societies in the field of neonatology - the European Society for Paediatric Research (ESPR), European Foundation for the Care of Newborn Infants (EFCNI), and Union of European Neonatal & Perinatal Societies (UENPS) - jENS Congress is committed to enhancing and understanding the diseases of the newborn and its effect on the patient and their families. The first international scientific event specifically dedicated to address how Point-of-Care Lung Ultrasound has become an increasingly-used technique and is changing the NICU-PICU clinical workflow. In this meeting, distinguished experts from Europe, USA, and Asia will convene for the first time in the beautiful city of Paris to exchange their pieces of research and future projects. "Congenital CMV – From Pregnancy to Infancy: Let’s Face It" will take place in the historical city of Florence, Italy on 21-22 February 2019. This Congress will primarily focus on establishing new knowledge, and understanding new approaches for the prevention and treatment of primary infections during pregnancy, diagnosis of fetal disease during pregnancy, pros and cons for prenatal screening of CMV infection, evaluation and treatment of children with congenital CMV, new treatment options for children with symptomatic congenital CMV, hearing loss in congenital CMV, and universal newborn screening. Birth Congress - Clinical challenges in Labor and Delivery will be held in Venice, 14-17 November 2018. Presidents of this meeting are Prof. Gian Carlo Di Renzo and Roberto Romero. The congress will be dedicated to all the news on labor, delivery, cesarean section, postpartum care and much more! The 8th International Congress of UENPS, to be held in Bucharest from 3 to 5 October 2018, is an opportunity for neonatal medical education and an opening for new collaborations in the field of research among the international neonatal and perinatal medical team. The setting of the event is the capital of Romania, Bucharest, one of the largest cities in Eastern Europe, also called “Little Paris” during Belle Epoque. The meeting will take place from 5 to 7 April 2018 in France and the President of the conference is Professor Yves Ville and Professor Daniela Prayer is one of the members of the Scientific Committee. The meeting will be a very high level opportunity for ultra-sonographers and sonographers especially to attend a prestigious and practical conference on Ultrasound, including hands on training on fetal brain and fetal heart. Leaded by more than one thousand experts in the field of perinatal medicine, ECPM is dedicated to midwives, obstetricians, neonatologists professionals in child pathology, paediatric surgery and genetics. The conference is divided into keynote lectures from internationally renewed experts, pleanary sessions and parallel sessions. Participants are invited to submit their researches in the form of oral or poster presentations, depending on the content of their abstracts. Many pre-congress courses with high educational value are scheduled too. The 7th International Congress on Clinical Neonatology will be held in Turin, Italy, from 23rd to 26th May 2018. You can find all information and register at the link below. Is MRI necessary, or “only” helpful ? IGF-1, anti-VEGF, surgery to treat severe ROP: where are we now ? which is the best choice? Early strategies to prevent BPD: budesonide? anything more? Is LISA necessary, or “only” helpful, or nothing at all? Laboratory at bedside: what’s new in the NICU? Less surfactant and less intubation: has this policy improved the neonatal outcomes? Prematurity and late wheezing: is there a link? The British Maternal & Fetal Medicine Society’s Annual Conference provides a unique opportunity to discuss important issues of relevance to Obstetricians and other professionals involved in pregnancy care. It facilitates dissemination of knowledge, promotes research and audit whilst encouraging the interface with industry to promote technological advances. After the very successful BMFMS 2017 in Amsterdam, the conference will be brought back to the UK and will be hosted in the vibrant and versatile city of Brighton. Set on an eclectic vibrant seafront, Hilton Brighton Metropole perfectly captures the character of this much-loved city and retains a Victorian elegance and charm. Easily accessible just an hour from London, the conference venue is within walking distance from the train station and of all that Brighton has to offer. With well over 700 attendees in Amsterdam 2017, we are expecting a successful and popular 2018 annual conference in Brighton and hope to retain a good proportion of our overseas delegates. The 2nd International Workshop on Intensive Care of the Newborn will be held in Verona, Italy, on 9 and 10 March 2018. You can find all information and register at the link below. The 10th Congress of the World Society for Pediatric Infectious Diseases (WSPID) will be taking place in Shenzhen, China, December 2-5, 2017. You will also have the opportunity to explore the beautiful Shenzhen a modern metropolis that links Hong Kong to China's mainland. While the city does not have as many historical attractions as other famous cities in China, it has created a number of excellent theme parks which entertain while teaching visitors about China and the world. Shenzhen is attracting more and more Chinese and overseas tourists for its unique beauty. The 2nd jENS Congress, Congress of joint European Neonatal Societies (ESPR, UENSP and EFCNI), will be held from October 30th to November 4th in Venezia, Italy. You can find all the information and register at the link below. Main topics include Regenerative Medicine and Stem-Cells, Neuroprotection, Genetics and Epigenetics and Autophagy in development. Following the success of the previous EAP Congress and MasterCourses, we are happy to invite you to take part in the next EAP Congress and MasterCourse that will take place in Ljubljana, Slovenia, on 12-15 October, 2017. 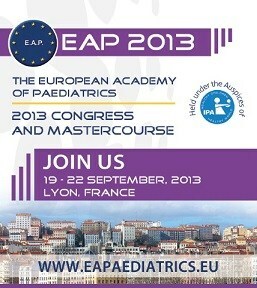 With the upcoming event, EAP will continue to fulfill its tasks to train, educate, and bring up to date all professionals taking care of children, while at the same time stimulating and allowing each one of you attending the opportunity to meet and/or create your own professional network of colleagues and friends. The Scientific Committee is elaborating a programme with topics covering all areas of interest in the field of paediatrics and the congress will provide the most updated, state-of-the-art information on the latest developments in research and clinical practice in the main areas of Paediatrics. We will continue to dedicate our educational meetings to Young Trainees and promote exchange of information and ideas in the paediatric field. The MasterCourse this time will be focused on infection. We would like to draw your attention to the 3rd conference ”Development of Medicines for Pediatric and Rare Diseases - Annual Event for Interdisciplinary Challenges” in Basel, Switzerland, February 2-3, 2017, preceded by a master class on commercial drug development in the morning of February 1, and a master class on Pediatric Drug development in the afternoon of February 1. The first two conferences in 2015 & 2016 attracted more participants than we had hoped for. We are confident that even more attendees will participate in 2017. We would highly appreciate your participation and would kindly ask you to block the date in your agenda. Registration is possible from now on. A first draft agenda and further updates will be sent out in the next weeks and months. For organisational questions please direct your questions to [email protected]; for content question to Prof. Johannes van den Anker, [email protected] and Dr. Klaus Rose, [email protected]; for sponsoring suggestions to Martin Austin, [email protected]. The Excellence in Pediatrics Conference is EIP's annual flagship event providing best practice updates and a truly global outreach. Continuous professional development is a top priority for the Excellence in Pediatrics Institute and is placed at the heart of our annual conference's ethos. Now in its 8th year, the Excellence in Pediatrics Conference is a dynamic, innovative, and highly engaging conference that informs its delegates of the latest scientific developments and most importantly helps them to improve the standard of care they deliver on the Monday morning after the conference. We have confirmed over 30 speakers and panelists from a range of disciplines that include Otolaryngology, Pulmonology, Gastroenterology, Speech Pathology, Nutrition, Healthcare Administration and more. 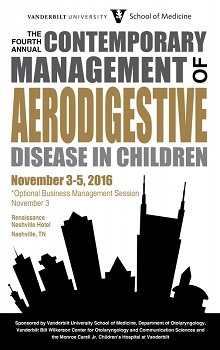 Thursday, November 3, will feature an afternoon business session, including how to start and run an Aerodigestive Program, cost estimation in aerodigestive care, and measuring patient-centered outcomes. Friday and Saturday (November 4 and 5) are filled with lectures, panels and breakout sessions spanning all aspects of aerodigestive disease management from intrapartum treatments to transitions to adulthood. 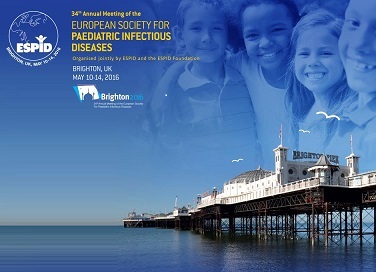 Serving as a nexus for the wealth of knowledge provided by three leading paediatric societies, the 6th Congress of the European Academy of Paediatric Societies (EAPS 2016) promises to build on the reputation of previous highly successful meetings. Paediatric professionals from around the world will gain unparalleled access to the best scientific research programmes. Firmly established yet dedicated to thinking outside the box, EAPS 2016 aims to engage the world’s best in a hearty exchange of experiences and expertise in research and clinical care. The Division of Neonatology and NICU of Sant’Anna Hospital in affiliation with the “Crescere Insieme al Sant’Anna” Scientific and Research Neonatology Foundation is proud to announce the 6th edition of the “International Conference on Clinical Neonatology”, which will be held in Torino, Italy from the 22nd to the 24th of September 2016. In line with the spirit of the previous successful editions, held in November 2009, March 2010, May 2012, June 2013 and September 2014 the goal of this Conference is to present the latest, updated scientific evidence on the care, treatment and follow-up of preterm neonates. Once more, the congress will be a multidisciplinary program of neonatal and perinatal research and practice, giving the opportunity to interact and share clinical and research experiences with colleagues in the Neonatology community. Prominent international speakers from all the fields of Neonatology and Pediatrics will provide comprehensive, up-to-date, research-based answers to the most frequent questions that arise at patient’s bedside in everyday practice. 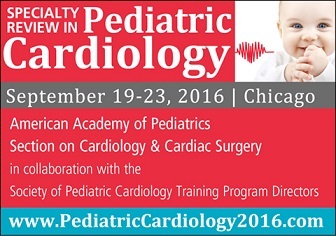 Please join us for the 2016 offering of Specialty Review in Pediatric Cardiology, sponsored by the American Academy of Pediatrics Section on Cardiology and Cardiac Surgery in collaboration with the Society of Pediatric Cardiology Training Program Directors. Established in 1975, this is the original and longest-running review course for those seeking an intensive review as part of exam preparation for certification or re-certification in pediatric cardiology. This course is equally valuable for physicians and other health professionals who desire a comprehensive update in the field. The live course features an online syllabus, with presenter slide materials in full-color full-page format, and practice exam Q&A exercises following each presentation. Presentations are also filmed to produce a “watch-it-later” option for release shortly after the course, and a CME-accredited DVD version of the course for release in the spring following each live offering. An intensive and concise review of pediatric cardiology. An appropriate blend of relevant basic science and clinical application. Practice questions and answers for each presentation, with audience response system. A distinguished faculty of outstanding clinician-educators who combine topic expertise with demonstrated teaching skills. Pediatric cardiologists completing training and seeking board certification. Established pediatric cardiologists seeking an update in the specialty and/or preparing for re-certification. Pediatricians with an interest in pediatric cardiology. Other health professionals who care for pediatric cardiology patients. IACAPAP 2016 will bring together thousands of mental health professionals including child psychiatrists and representatives from the allied professions of nursing, psychology, social work, pediatrics, public health, education, social sciences and other relevant fields dedicated to improving mental health global and locally. With a theme of “Fighting Stigma, Promoting Resiliency and Positive Mental Health”, IACAPAP 2016 will allow you to meet fellow professionals, learn from a comprehensive scientific program, promote and advocate for your research and ideas and enjoy all that Calgary, Alberta and Canada has to offer. This, 22nd World Congress for the International Association for Child and Adolescent Psychiatry and Allied Professions (IACAPAP) will be a joint meeting with the 36th Annual Conference of the Canadian Academy of Child and Adolescent Psychiatry (CACAP). 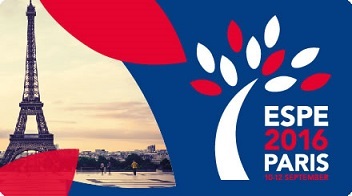 The 55th ESPE Annual Meeting will be held in Paris, 10-12 September 2016. The theme of the meeting will be “Horizons in Paediatric Endocrinology” to capture the evolutionary and self-renewing nature of our specialty. The theme will also help evaluate the new challenges for paediatric endocrinology and discuss new and old medical, scientific and organisational paths. 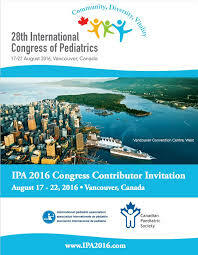 Join the International Pediatric Association (IPA) and its 168 member organizations, to the 28th International Pediatric Congress to be held in Vancouver, British Columbia, Canada from August 17-22, 2016. This year’s conference theme, “Community, Diversity, Vitality,” reflects both the host city and the scope of the scientific program. The XV International Congress of Pediatric Pulmonology, CIPP XV, will be held in Naples, Italy on June 23-26, 2016. The International Congress of Pediatric Pulmonology (CIPP) is the only international meeting devoted to Pediatric Pulmonology. Over the years, CIPP has acquired a reputable status among practitioners, researchers and academicians as the forum for new information, treatment guidelines, interactions and exchange of ideas between leading specialists and practitioners in Pediatric Pulmonology from both developed and developing countries. Aside from plenary sessions and topic symposiums, a hallmark of CIPP is the number of interactive sessions that include among others research presentations, clinical case discussions, chest imaging, and bronchoscopy. The upcoming World Summit in Pediatric offers a platform where knowledge and experience can be shared with numerous experts in the field of Pediatrics. The first few years of a child development are very crucial which lay the foundation of healthier and happier life ahead. In the first few years child needs an especial designed diet for him; children have specific nutritional requirement for both the functional immaturity of organs and systems, and also because food consumption per unit of body weight is proportionately higher. The conference provides the opportunity to discuss your specialty at an International level through exchanging ideas and knowledge with colleagues from different countries, networking with other professionals in a multidisciplinary setting and participating in social and educational events. It’s also necessary that the whole family is informed, motivated and involved in this project for pediatric education, which should involve all stakeholders (institutions, media, industries) in a work network. CSI 2016, the annual congress about catheter interventions in congenital, structural and valvular heart disease will take place from June 22 to 25, 2016 in Frankfurt. CSI offers the unique experience of a comprehensive overview of major topics in the catheter therapy of congenital, structural and valvular heart disease in children and adults. CSI caters for adult and pediatric interventional cardiologists, cardiothoracic surgeons, anesthesiologists and imaging specialists. We have discovered that the extended interventional technical and nursing teams are finding the content and format of our meeting valuable to their day to day practice and continuing medical education requirements. Established and emerging industry based engineers and prototype technologists have also discovered CSI as a stimulating environment with unparalleled opportunities to network with key opinion leaders. 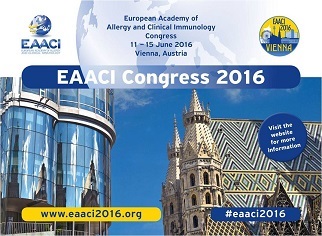 The EAACI Congress 2016 is a congress organised by the European Academy of Allergy and Clinical Immunology (EAACI) which offers a unique opportunity to learn about new discoveries and exchange experience with professionals in the field of allergy and clinical immunology. The Congress will take place in Vienna, Austria from 11-15 June 2016 and we hope to see you onsite! 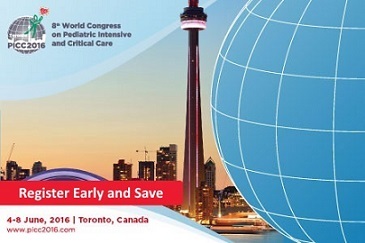 The 8th World Congress of the World Federation of Pediatric Intensive & Critical Care Societies will be held in Toronto, Ontario, Canada June 4​-8, 2016. As in the past, the scientific content is our focus with an aim to foster learning and collaboration for the care we provide to children with critical illness and their families. Experts representing points of view from across the globe will lead core tracks, and in response to feedback from past registrants, we are including daily plenary sessions, expanded pre-conference workshops, and opportunities to meet and discuss specific topics with experts in the field. We are planning the program to enable presenters of free papers and posters to be integrated into the main program themes. We want you to feel engaged and inspired, have the confidence to take on new challenges and think outside the box! The International Congress Pediatrics 2.0 will be held in Copenhagen, Denmark. 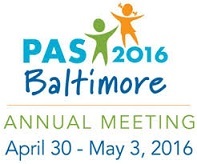 The Pediatric Academic Societies (PAS) Meetingbrings together thousands of pediatricians and other health care providers united by a common mission: improve the health and well-being of children worldwide. This international gathering includes researchers, academics, as well as clinical care providers and community practitioners. Presentations cover issues of interest to generalists as well as topics critical to a wide array of specialty and subspecialty areas. As the world’s largest pediatrics-focused medical education event and technical exhibition, the AAP Experience offers unparalleled opportunities to network with colleagues and hear from those at the forefront of pediatric care. - advance paediatric research in Europe, help exchange of information, and spread ideas on new developments in paediatric research. - serve the European Society of Neonatology members and European neonatology by a focus on training and accreditation. 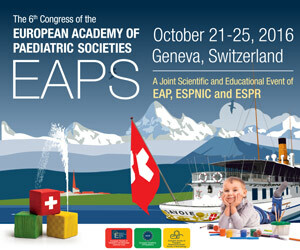 The 2013 EAP Congress is the perfect setting to get the most updated, state-of-the-art information on the latest developments in research and clinical practice in the main areas of Paediatrics.